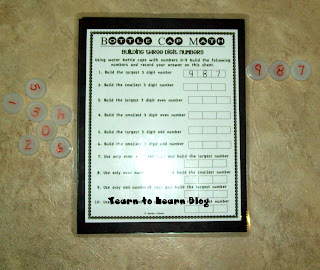 My project today was to make more Bottle Cap Math sets. This is a popular center in my classroom so I wanted to make multiple sets with the collection of caps I lugged home for summer break prep. First, I sorted all the different style caps and threw out the ones I didn't like. I'm picky like that. I tried to keep the same color whites together as well as kept in mind the cap heights. Then I broke out all my colored Sharpie pens and went to work. I suggest that you use different colors as much as possible to help separate sets. Light colors like yellow and orange don't show well on the caps from my experience. I labeled caps with a variety of numbers. 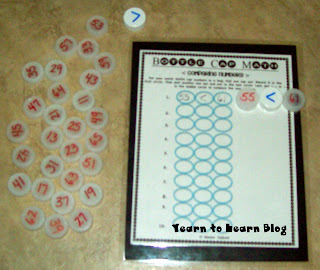 Some were simply numbered 0-9 and others depending on the skill were 2 or 3 digit numbers. The best part about many of the worksheets are they are open ended and you can add more numbers or change them out as needed. 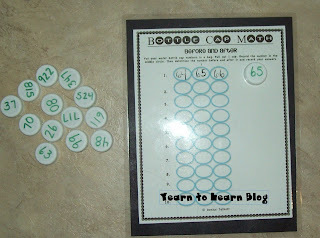 I also printed up the Bottle Cap concept worksheets and laminated them for yearly reuse. So that's my Make It Monday! 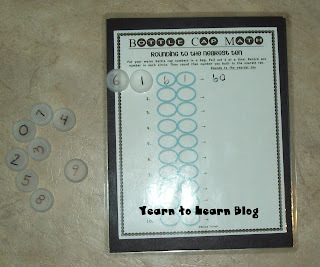 I have never thought of using bottle caps as math manipulatives! How smart! Thanks for sharing! Do you know how many random recyclables I collect and I have never thought to collect bottle caps??? What was I thinking?!?!? You've inspired me. Now, I've got to make some bottle cap games. This is a great use for bottle caps! Wonderful manipulative for math! 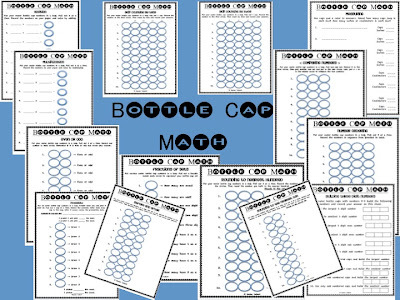 Your bottle cap math pack looks fabulous. Thanks for sharing about your giveaway! I just entered. This is great, I like the concept of using bottle caps, I wish I head been collecting. Thanks for sharing. LOVE this idea:) So cool! I had my husband save me some bottle caps and then I couldn't remember why I needed them. I need him to begin saving them. Thank you for your wonderful idea! I somehow missed this post. 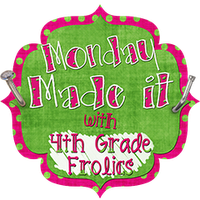 I"m glad I saw it on your sidebar! What a great idea. What a great idea!! Thanks for popping over to my blog. As a newbie blogger, the comment made my day! I'm a new follower and can't wait to go through your archives.